Security and exchange board of india (SEBI) Recruitment. 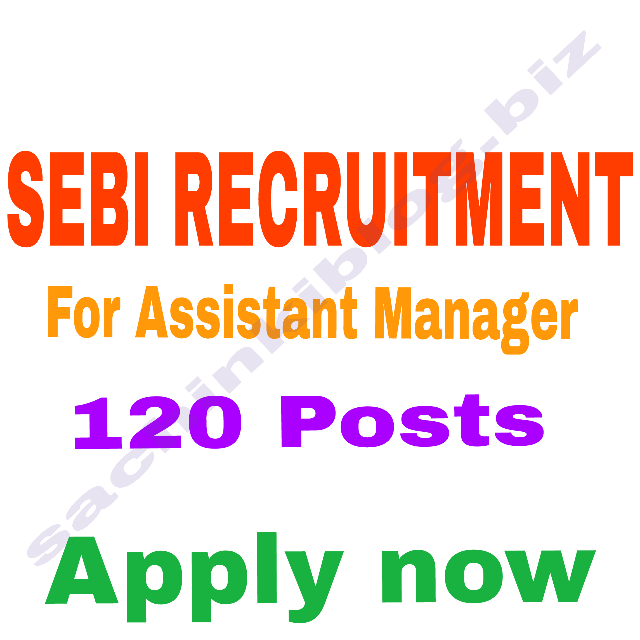 Security and exchange board of india (SEBI) has realased a notification for 120 posts for Assistant manager all intrested candidates can apply for this post. If you are Qualifying the Eligibilities which are provided below. So you can apply for this post. I hope you will be Able for this.. Check vacancy details and Application start date and close date and all important Details we will try our level best to Understand to you. Details by sachinkiblog. *Location of Job :- All india. Education & Qualifications :- Candidates should Have a Degree of Graduation/Post Graduation from a Recognize Board or institute. Process of Selection. :- Candidates have to give a Basic exam test according to board for more details you can read notification. Gen/Obc Candidates have to pay 850 rupees. Sc/St/PH candidates have to pay 150 rupees. * Candidates have to pay fees throw online via Online banking and Credit/Debit card.